Support the work of informal caregivers while at the same time saving resources for the health system. We helped design such a system, through our user research. Furthermore, we did so in a way that the system would be self-sustainable when finished, by deploying state-of-the-art business scenario building methods. Together with several partners from industry and academia, we developed an integrated care system consisting of physical sensors deployed in a persons home, a mobile and web application and a cloud storage and data management solution. We used co-creation methods in order to find out the preferences and requirements persons with multi-morbidity would have for such an app. But we also included informal caregivers, such as family and friends, and formal caregivers, such as home care providers and medical doctors. In addition, we used stakeholder-based business modelling to find fitting scenarios to translate the vision of our integrated care solution into reality. Want to learn more about ProACT and its goals? ProACT (Integrated Technology Systems for ProACTive Patient Centred Care) is an EU-funded Horizon 2020 project in PHC-25-2015. ProACT targets Europe’s 50 million multimorbid patients to proactively self-manage and offset the EU’s annual €700 billion cost of chronic disease management. 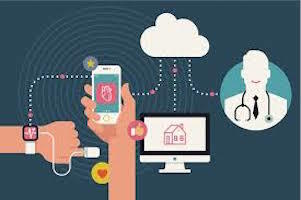 ProACT aims to develop and evaluate an ecosystem to integrate a wide variety of new and existing technologies to improve and advance home-based integrated care for older adults with multimorbidity, including associated co-morbidities.